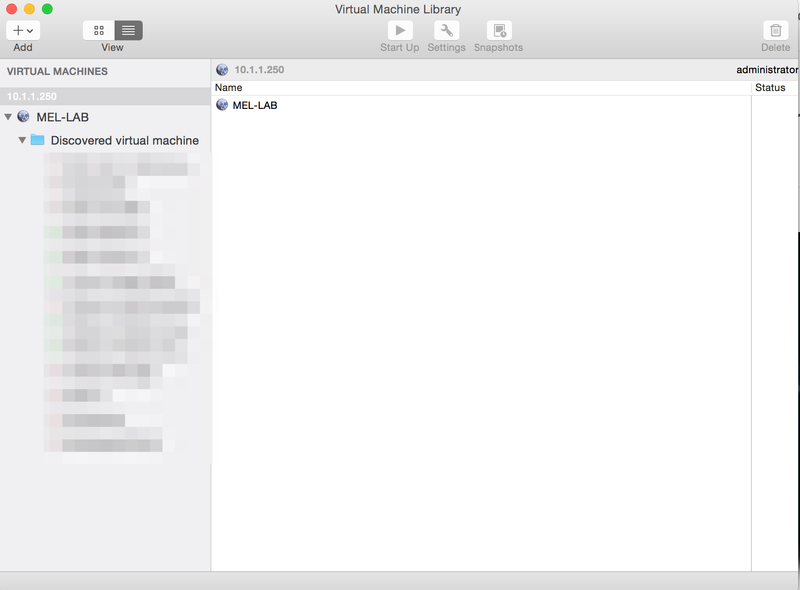 To connect VMware Fusion to vCenter, select “Connect to Server” from VMware Fusion’s file menu. Hit Connect and start managing your virtual machines from VMware Fusion. 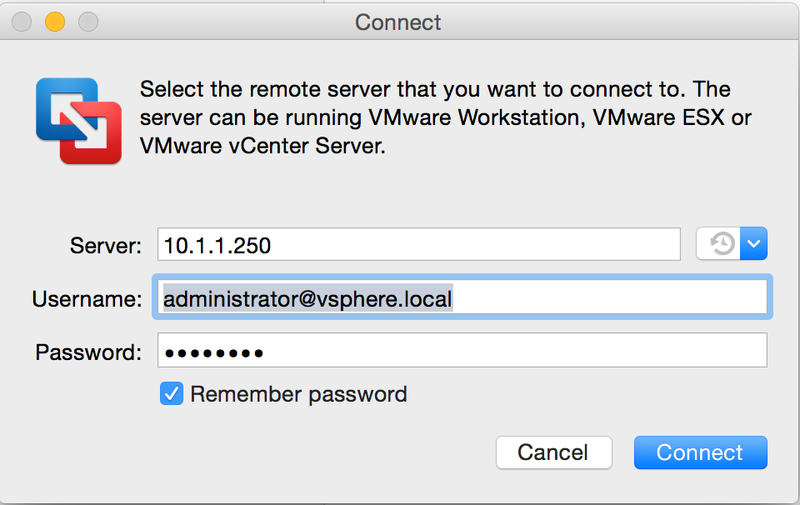 To avoid jumping between multiple computers, I have started managing my home lab vCenter with VMware’s Fusion product. 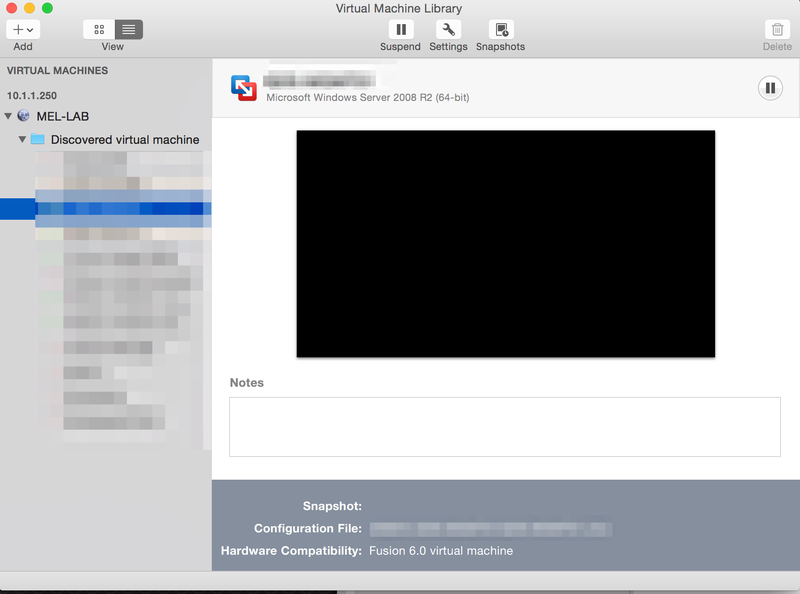 VMware Fusion gives you basic console and management capabilities of the virtual machines within the environment. For basic console tasks, VMware Fusion has been very valuable for me during my studies while jumping between multiple nested environments. I also utilize VMware Fusion to manage some dedicated ESXi hosts that have free ESXi on and it works great.